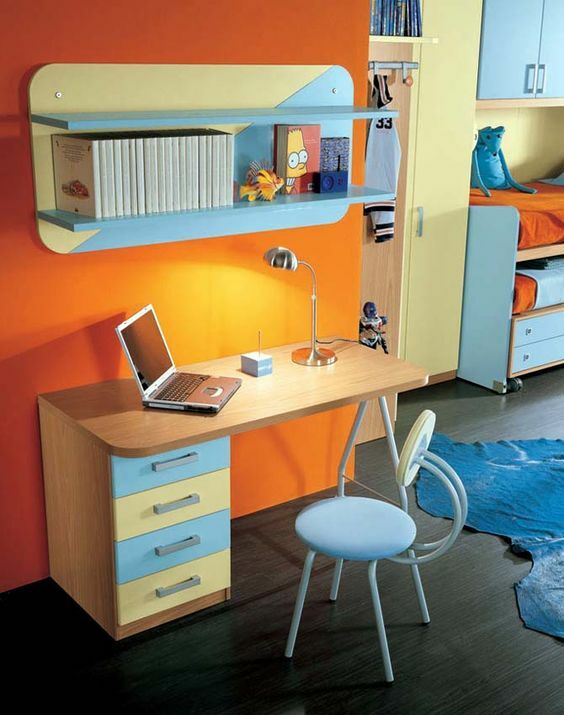 Not only adults, kids also need their own space to do their study and homework. 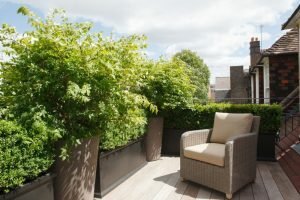 As a comfortable space especially created for them to study is essential to their academic hour, it is important to provide a convenient place for them to get their own concentration. 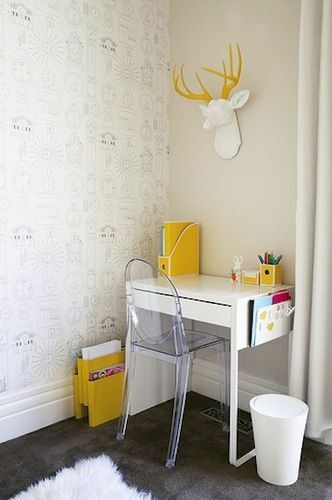 And here below are some ideas on how to provide serious yet fun study corner for kids. If you have a small space on the corner, with minimalist and modern touch, it can be a comfortable and practical place to study. With accessories and decorations in the same color, like yellow, the cornered place does not seem cornered anymore. With yellow especially, the corner seems more noticeable. 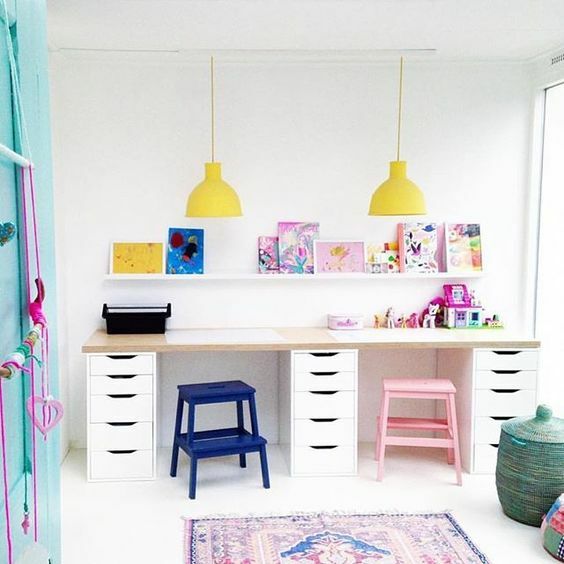 While making sure a kid’s space to study looks fun, it does not mean that minimalist look wil make it too mature. With minimalist table and shelves, it might look more serious but a fun coloring like purple can brighten the space as well. 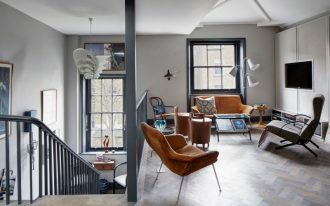 For a more modern look, minimalist is a great approach, even for kids’space. 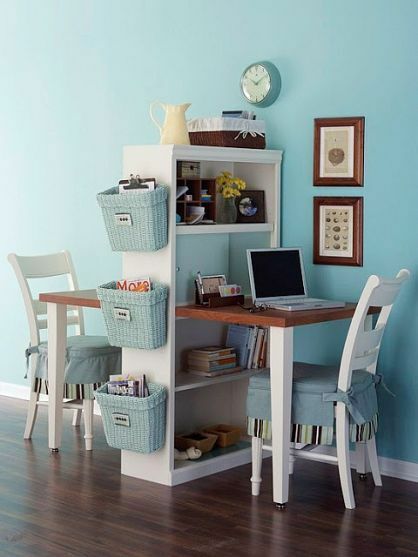 Seen in this one is a great study area with neutral color palette with a hint of soft colors. 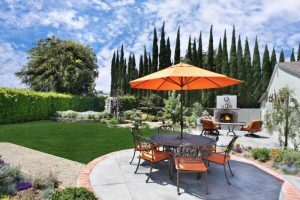 Having a great place as well as the most practical one can be really comfortable for the learning process. 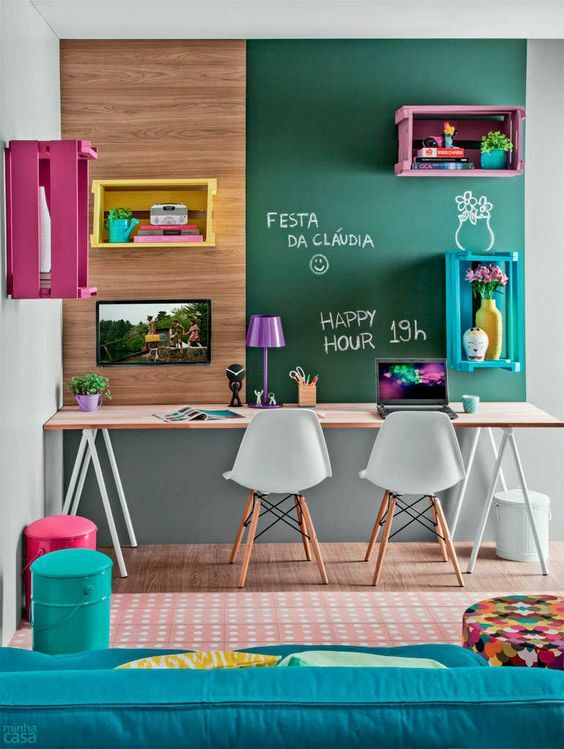 Seen in this one below is a modern kid’s study space with the interesting touch from the pink support on the neutral floating shelves and the blackboard canvas on the wall, making it interesting to draw things. Similar to the idea on the previous one, this one too also uses board that allows chalk to draw on it as the wall canvas for the study area. This board will allow them to creatively draw or write message. And you can also give sweet message for them too so that they will find learning more interesting. 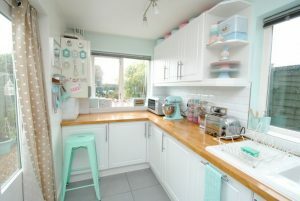 If you long to give a study space with has strong fun and joyful remarks, something with bold color might interest you. 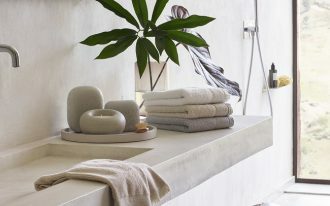 Combine it with soft and neutral colors will make it balanced and does not feel too crowded. Pegboard is really a life saver for those who love to make things displayed in tidy look. With pegboards, colors are playing. 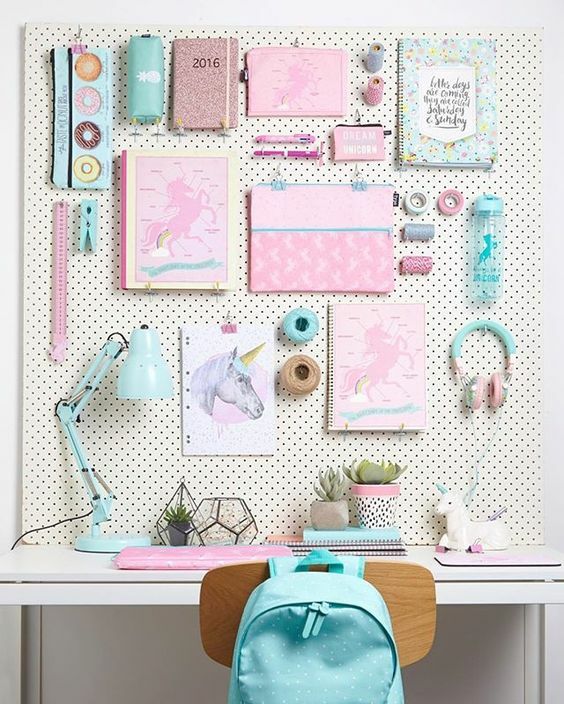 And this one here is a great presentation on how pegboard can be used in the study space. 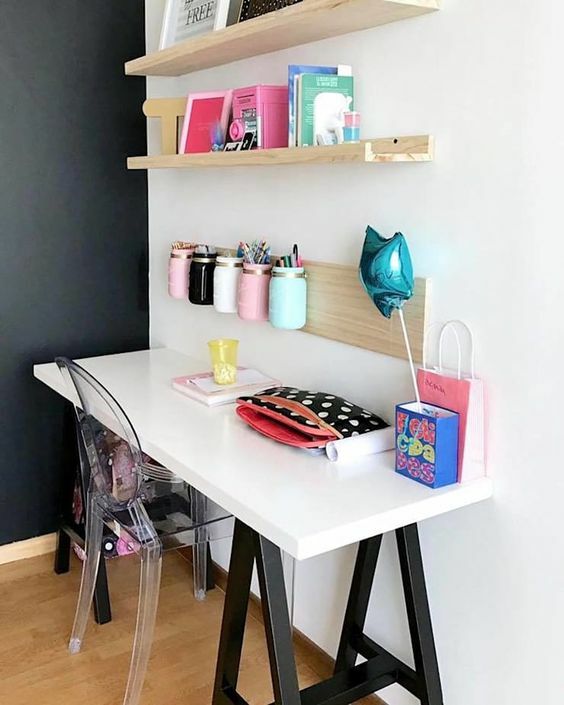 In this peach pink nuanced study space, the wooden floating shelves and table looks a really convenient items to have that will allow many kinds of storage without making it too heavy looking. 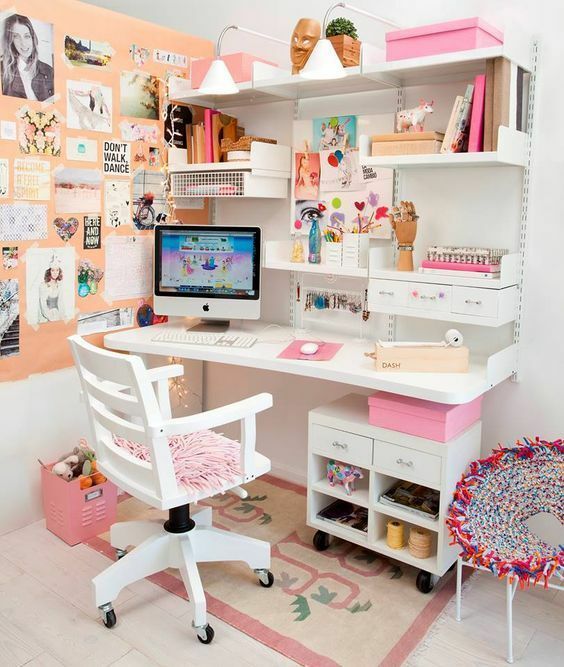 The white wooden office chair looks serious but still warmth and comfortable. If you want your children to have the actual seriousness in their learning time, pushing the study space together so that they can get the same spirit in learning is a great idea too. Making it fun so that they won’t feel burdened with colorful preference like stools and chairs will make it more personal even though they’re together. 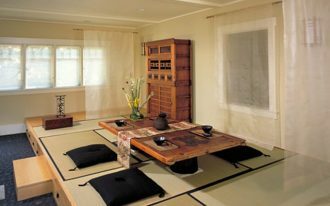 This one is another way to create a study room for two people, making it face to face. 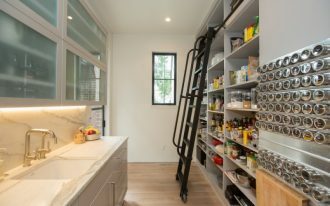 However, putting a shelves that will benefit each side is a great move. 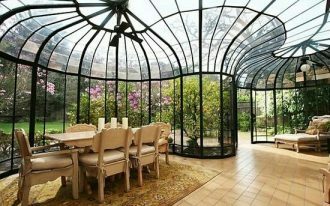 This will be great for a small space too.